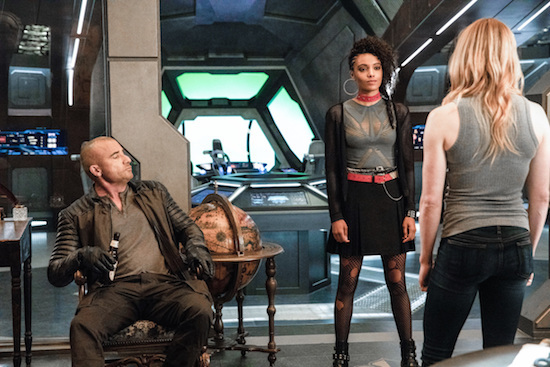 DC’s Legends of Tomorrow — “Wet Hot American Bummer” — Image Number: LGN404a_0026b.jpg — Pictured (L-R): Dominic Purcell as Mick Rory/Heat Wave, Maisie Richardson-Sellers as Charlie and Caity Lotz as Sara Lance/White Canary — Photo: Jack Rowand/The CW — ÃÂ© 2018 The CW Network, LLC. All Rights Reserved. The CW has handed out early renewals to a gaggle of shows.